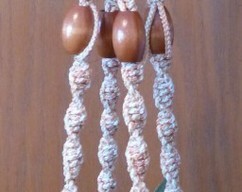 This beautiful macrame plant hanger is made in a soft salmon colored yarn accented with dark brown wood bead. 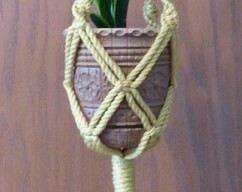 It is a double hanger and will support two small to medium sized potted plants. 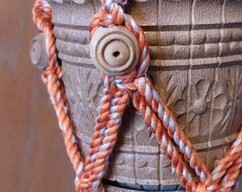 It measures about 52 inches from top ring to bottom yarn. The plants and pots are not included. I will carefully package the hanger to protect it from damage during shipping. 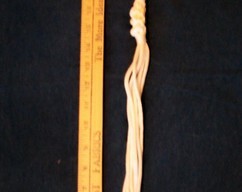 The hanger sells for $12.00 plus $7.00 for standard shipping to the United States only. They make wonderful gifts for others or for yourself. Please review my shop policies before placing your order. Thanks for looking!